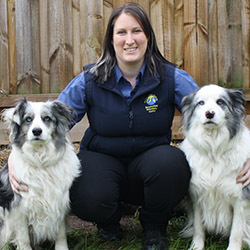 Kelly is an experienced veterinary nurse, having worked in the industry for over 12 years. Before joining the BVC team in March 2012, Kelly worked as a surgical nurse at a specialist centre. She has a keen interest in wildlife and rehabilitation, and has cared for a variety of orphaned and injured wildlife. At home, Kelly has a variety of pets including bearded dragons, a crazy galah called Trevor, chickens and Mr Tony, a handsome shihtzu cross! Brendan graduated from the University of Melbourne with Honours in 2012 and started work at Beaconsfield straight after Vet School. 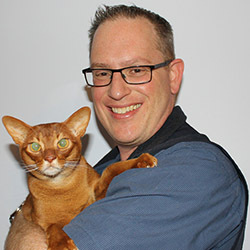 He has a keen interest in small animal internal medicine and ultrasonography and has just finished a year long distance education course in small animal internal medicine from the University of Sydney. Brendan loves Pugs and any short-nosed breed dog, so if you have one please come and see him! Brendan is a passionate Hawthorn supporter and in his spare time enjoys playing guitar/bass in his band. He is the proud owner of a gorgeous Pug named Darla, two cats named Buckwheat and Duncan. After deciding the time was right for a change in career direction, David headed off to vet school and graduated from the University of Melbourne with Honours in 2007. 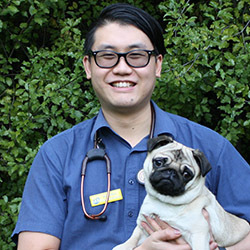 Not being a fan of mud or flies, David commenced work in small animal practice straight after graduating, and has also recently spent some time working as a small animal emergency vet. He has a particular interest in feline medicine and soft tissue surgery. When not at work, David is kept in line by his multitude of cats (including a highly strung Bengal and Abyssinian), dogs and horses. He is fortunate to be supported by his gorgeous wife and daughter and a sports mad son (Go Blues!). Originally from Adelaide, Greg relocated to sunny Western Australia to study veterinary science & graduated from Murdoch University in 2001. After 3 years working in Victoria with a mixture of large & small animals, including a brief stint locuming at Beaconsfield Veterinary Centre not long after its inception, Greg has finally returned to roost in Beaconsfield with his young family. 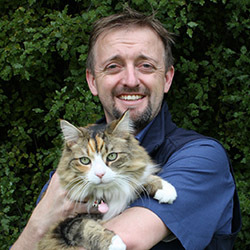 During his decade away overseas Greg saw a wide variety of veterinary caseloads, including 4 years in emergency medicine & surgery & 2 years performing charity work in NW London. His interests include emergency medicine & surgery, & feline medicine. In his spare time, Greg enjoys playing guitar, songwriting and practising Vietnamese language! 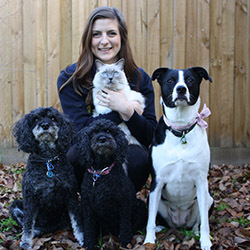 Elise joined the Beaconsfield Veterinary Centre in August 2015 and is currently completing her certificate in Veterinary Nursing and thoroughly enjoys learning new skills every day. She loves the challenges of surgical nursing and is dedicated to making sure all our patients have a relaxed time during their stay with lots of cuddles! Before joining the BVC team Elise worked in the retail industry and loves interacting with clients getting to know their pets. In her spare time Elise is a very keen snow boarder! She is the proud owner of an energetic Border Collie cross named Bella, two beautiful Cavoodles Roxy and Max and a Rag Doll named Aspen who keeps the dogs in line! 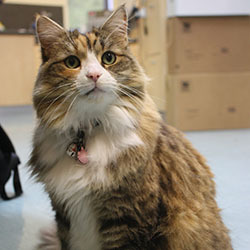 Shanya has been a vet nurse at the clinic since October 2006. After high school, she completed a Bachelor of Science, majoring in Zoology, then enjoyed a few months of travelling before joining our team. She has a Certificate IV in Vet Nursing and loves meeting all the animals that come into the clinic. She is the proud owner of three cats – Hugo, April and Judy, and also an excitable German Short Haired Pointer named Lenny. Leesa has been a Veterinary Nurse since February 2006. 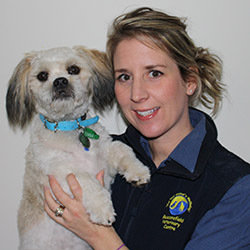 She joined the Beaconsfield Veterinary team in January 2008 and completed her certificate IV in Veterinary Nursing in 2009. She loves everything the job has to offer. 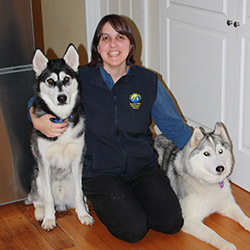 Leesa is also a Dog Trainer and enjoys running our Puppy Preschool with her two Border Collies Storm and Bear. Leesa also enjoys Surgical Nursing and working with our visiting Orthopedic Surgeon Dr Wing Tip Wong. In her spare time Leesa enjoys training dogs, going to the gym and spending time with her husband and daughter. Her animals also keep her very busy, she owns 2 border collies Storm and Bear and 2 cats Skittles and Rattatoullie. 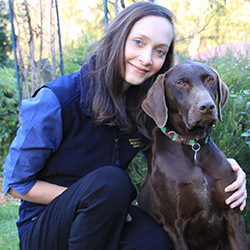 Lorna joined the team at Beaconsfield Veterinary Centre in late 2015. She started as a cattery attendant in 2005, and then made the transition into nursing just 2 days after graduating from High School in 2007. Her background has given her a keen interest in felines and strong foundation in cat handling and behaviour. Lorna loves all aspects of nursing but her passion lies in surgery and caring for our native wildlife. 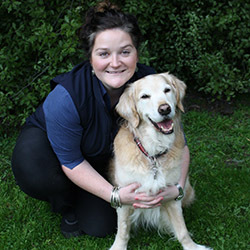 At home Lorna has a senior Golden Retriever named Archie who is the love of her life (second to our clinic cat Adelaide), though she is looking to add to her furr family soon. Elin Has completed her certificate 4 in Veterinary Nursing in 2014 and has also done a Certificate 3 in Dog Behaviour and Training. She enjoys drawing, playing the piano as well as spending time with friends and family. Elin has her hands full with her 3 dogs, 2 Siberian huskies who definitely keep her active, named Zelda and Link, and a Maltese x Shitzu X jack Russell named Oreo. 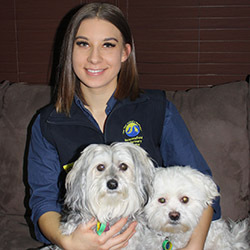 Erin started working at Beaconsfield Vet Centre at the beginning of 2017 and is currently completely her final year of the Cert 4 in Veterinary Nursing. After finishing school she went on to study Graphic Design but found it wasn’t right for her so then moved into the animal industry where her true passion is. 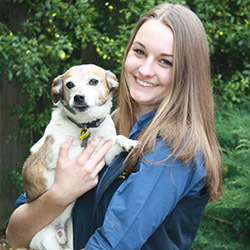 In her spare time she volunteers at the Stafford Rescue in Kynton, Victoria. Erin has a handful of pets at home including an Austrailian Kelpie named Zoe, An Australian Kelpie X named Jed, A Rainbow Lorikeet named Lori (pictured) A Domestic Medium Hair named (picture) and the newest addition a Staffordshire Bull Terrier named Olive. Stef joined our team in 2017. Having completed her Certificate IV in Veterinary Nursing November 2016 she has been working in the industry for 2 years now. 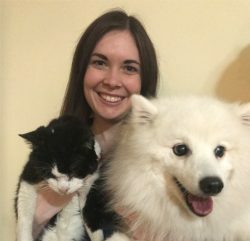 She has a strong passion for animals and loves her job as a nurse caring for sick patients and making sure they get to go home meowing away and wagging tails. Stef is a proud owner of her two Maltese X Shitzu’s named Butch and Lucy who enjoy lots of cuddles. 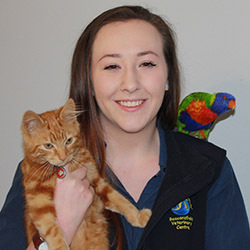 Rebecca joined our team in April 2017 and works twice a week after school where she is learning lots of new skills and responsibilities that come with being a vet nurse. She loves to look after your pets and especially loves to give them lots of cuddles. Rebecca did work experience with us which made her realise that animals are something she is truly passionate about. She is currently in year 10 and is working hard to one day become a zoologist or a vet nurse. In her spare time Rebecca loves to get out with friends, play tennis, surf and more importantly care for her dog Jack. Addy (short for Adelaide) joined the team in 2006, as an adventurous 4 month old. Apart from supervising the day to day happenings of the clinic, Addy enjoys fine dinning, relaxing, and mingling with all the pets and their owners in reception. © 2019 Beaconsfield Veterinary Centre.